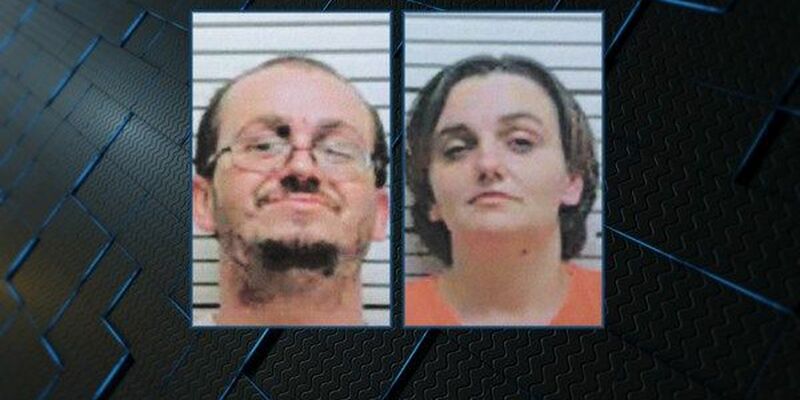 BUTLER COUNTY, AL (WSFA) - Two Butler County siblings are in critical condition and a man and woman are facing multiple charges in one of the worst child abuse cases the sheriff's office has ever handled. When they arrived, they found two children, a brother and sister, severely beaten, Butler County Sheriff Kenny Harden said. They were rushed to L.V. Stabler Memorial Hospital in Greenville and then transported to Children's of Alabama hospital in Birmingham for treatment of their injuries. An investigation was launched and Jonathan Smith, 33, was arrested. The next day, Michelle Smith, 30, was also arrested. The Smiths are related to the victims, the sheriff confirmed. Jonathan and Michelle Smith were charged with two counts of aggravated child abuse (family), two counts of sexual torture and two counts of sexual abuse of a child under the age of 12. The couple went before a judge Wednesday afternoon and were each placed on a $1 million bond. They remain in the Butler County Jail. Harden couldn't release additional information due to the nature of the case and the ongoing investigation, but more charges are expected to be filed against the Smiths. The sheriff indicated the abuse occurred at the couple's home this past weekend, but there was a delay in notifying first responders. He couldn't discuss the extent of the victims' injuries or how they were inflicted. He also couldn't reveal their exact ages, confirming only that the siblings are younger than 12.